This article originally appeared on the Center for Individualized Medicine blog on Sept. 17, 2018. Moderator Cathy Wurzer and Keith Stewart, M.B., Ch. 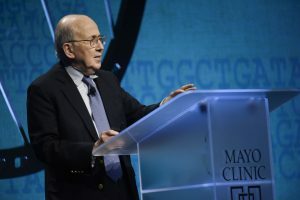 B.
Keith Stewart, M.B., Ch.B., the Carlson and Nelson endowed director, Mayo Clinic Center for Individualized Medicine, opened the conference by explaining genomics discovery is moving rapidly and the conference gives a glimpse of the exciting research taking place along with how it is already improving patient care. 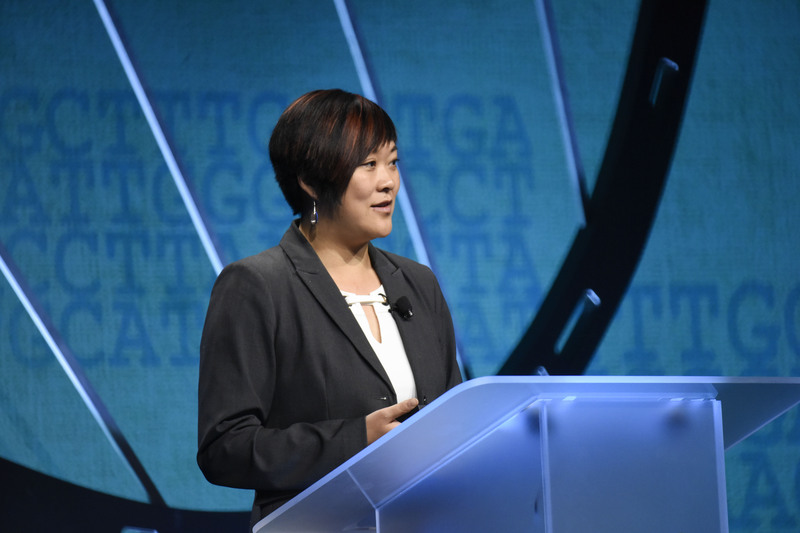 Here are some of the highlights from this year’s plenary speakers, all bringing their expertise to drive precision medicine forward. Now genomic testing is moving from the research setting into clinical practice. Dr. Green and his team forecast that by 2022, more than 80 percent of genetic testing will take place in the health care system. 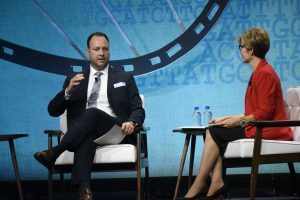 This trend is one of many factors Dr. Green and his team are considering as they develop a 2020 strategic plan for advancing genomics, gathering input from the broad scientific, health care and patient communities. Dr. Green also highlighted the National Institutes of Health All of Us Research Program, an unprecedented national research program that kicked off in May. All of Us is enrolling a million people into a research cohort to advance an individualized approach to managing health and disease. 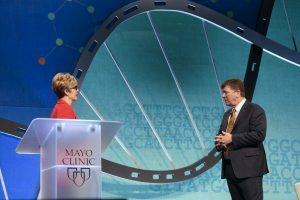 Mayo Clinic is home of the biobank that will store biospecimens for the All of Us Research Program. As of August 2018, Mayo had stored nearly 1.7 million samples from more than 57,000 participants. 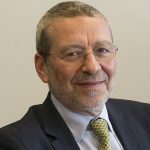 According to Richard Weinshilboum, M.D., pharmacogenomics is the first area of precision medicine that will be integrated into patient care daily, and predicts that it will, eventually touch every patient everywhere. 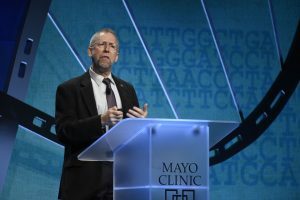 Dr. Weinshilboum is co-director of the Mayo Clinic Center for Individualized Medicine Pharmacogenomics Program and a pioneer in the field of pharmacogenomics, which explores how a person’s genetic characteristics affect their response to medications. At the conference, Dr. Weinshilboum shared the promise and challenges of implementing pharmacogenomics into daily clinical practice. He highlighted Mayo’s RIGHT 10K study, which will add preemptive pharmacogenomics test results for 10,000 Mayo Clinic Biobank patients into their electronic health record. The goal is to understand how having this genetic information available at the point of care may help improve care. The idea is that this information will guide health care providers to identify medications and/or make dose adjustments that are compatible with a patient’s genetic makeup, maximizing the therapy benefit and reducing harmful side effects. Manolis Kellis, Ph.D. is going beyond genomics to understand the processes driving disease. 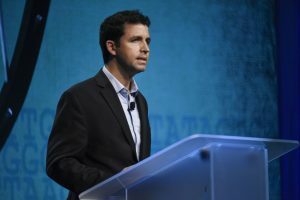 Dr. Kellis, a computational biologist at Massachusetts Institute of Technology (MIT) and the Broad Institute, and his team have developed maps to understand how genetic variations and other biological and molecular processes contribute to many diseases, including heart disease, Alzheimer’s, cancer and obesity. This groundbreaking approach has uncovered some surprising results. For example, Dr. Kellis and his team found that the strongest genetic association with obesity acts via a master switch controlling energy storage and expenditure, rather than through the control of appetite in the brain. This finding suggests that there is more to controlling weight than watching your diet and getting regular exercise. While it is exciting to have additional information about patients – their genomic test results, biological data and health history, how can researchers interpret that information so that it can improve a patient’s care? 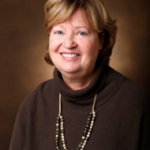 Nancy Cox, Ph.D. and her team are addressing this challenge with computer models. 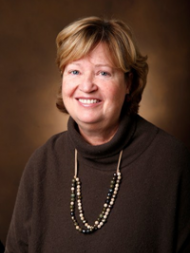 Dr. Cox, director, Vanderbilt University Genetics Institute and Division of Genetic Medicine, is using these tools to analyze genetic test results from biobank participants, along with data from their electronic health records to better understand a patient’s risk for disease. 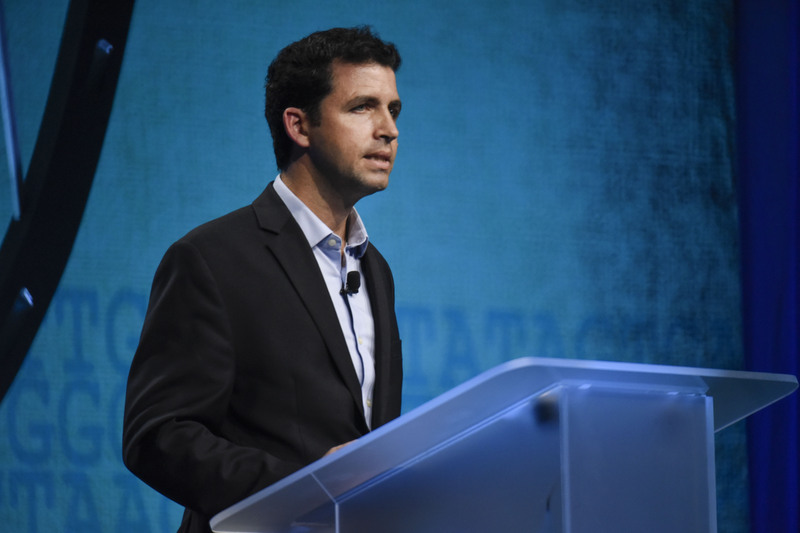 As Cox explained, the advantage of this approach is it allows researchers to look across all of the diagnoses associated with a specific gene at the same time, rather than the traditional approach of focusing on one disease. This uncovers conditions or symptoms that may help predict disease, prompting earlier screening and treatment. They’ve developed a publically available catalog of these associations, which include not only genomic but other biological and environmental factors that can help predict disease. 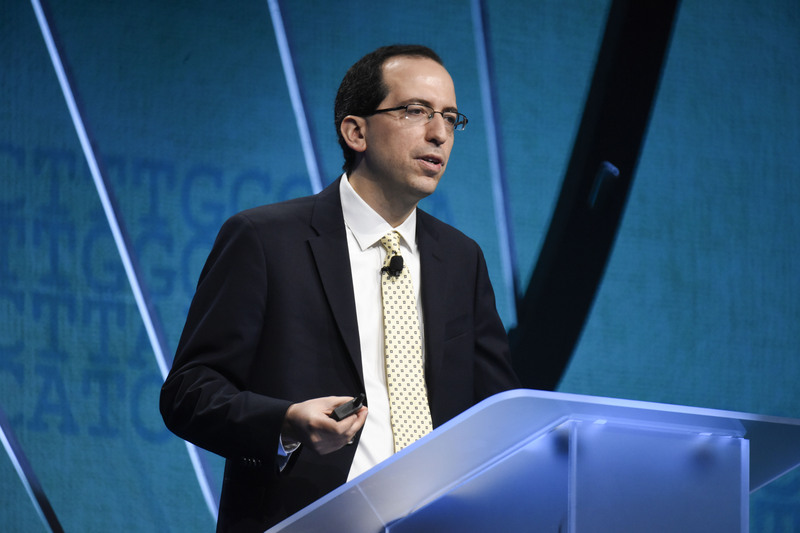 Gabriel Krestin, M.D., Ph.D. is also developing models to predict disease and has been a leader in combining imaging methods with genomic, biological and environmental data to identify subtle changes linked to disease risk. Using artificial intelligence to analyze data from large-scale population studies of healthy individuals, he and his team have identified imaging biomarkers to predict complex diseases such as dementia and Alzheimer’s. Their findings are being used to help detect and treat disease sooner. 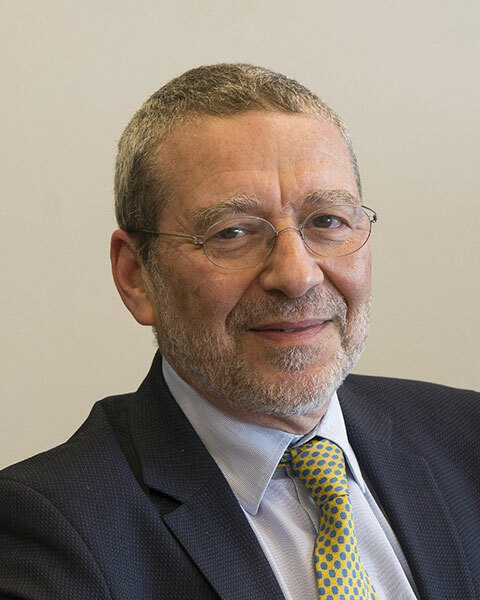 Dr. Krestin is chairman, Department of Radiology and Nuclear Medicine at Erasmus MC, University Medical Center Rotterdam, in the Netherlands. Michael Berger, Ph.D. has made great strides in expanding the search for genetic links to cancer. 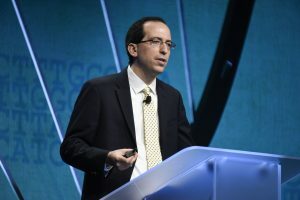 Dr. Berger, a geneticist at Memorial Sloan Kettering (MSK), and his team developed MSK-Integrated Mutation Profiling of Actionable Cancer Targets (MSK-IMPACT), a genetic test that looks across 468 genes associated with both rare and common cancers. By using MSK-IMPACT to screen more than 20,000 MSK patients with advanced cancer, Dr. Berger has created the largest gene panel database. 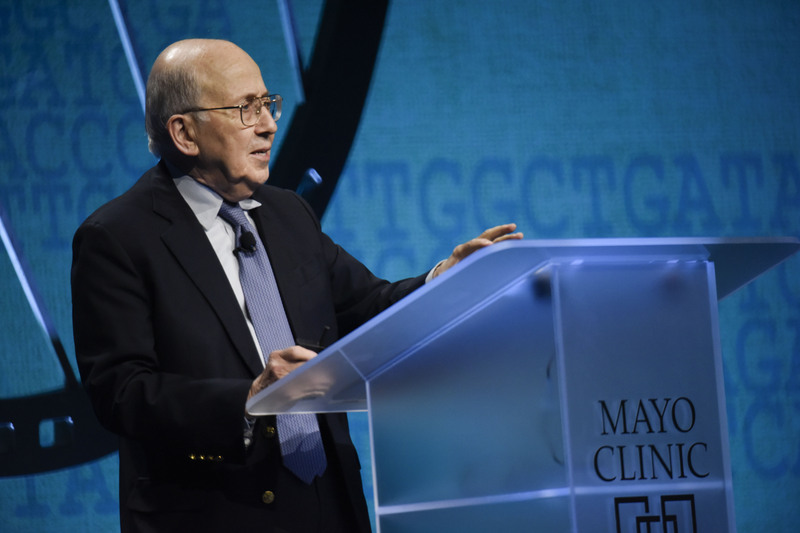 Berger highlighted how this testing has changed the course of treatment for patients. For example, MSK-IMPACT testing revealed that a woman previously thought to have metastatic breast cancer actually had cancer that originated in her lungs. As a result, her treatment was changed from hormone therapy to the appropriate chemotherapy. Test results are also helping direct patients to clinical trials based on the genetic characteristics of a patient’s tumor, rather than where the tumor originated. Chimeric antigen receptor T-cell therapy (CAR T-cell therapy) is a new immunotherapy that reengineers a patient’s own immune cells to create a living drug that recognizes and fights a patient’s cancer. The therapy is currently approved to treat patients with B-cell non-Hodgkin’s lymphoma and B-cell acute lymphocytic leukemia (ALL) who have not responded to standard therapy. Yi Lin, M.D., Ph.D., a hematologist at Mayo Clinic’s campus in Rochester, Minnesota, and chair of the Cellular Therapeutics Cross-Disciplinary Group in the Mayo Clinic Cancer Center, shared promising clinical trial results where the majority of patients responded to this new, individualized treatment. She also explained that it is most appropriate for patients whose disease has stabilized and who can handle the range of side effects that may come with this treatment. 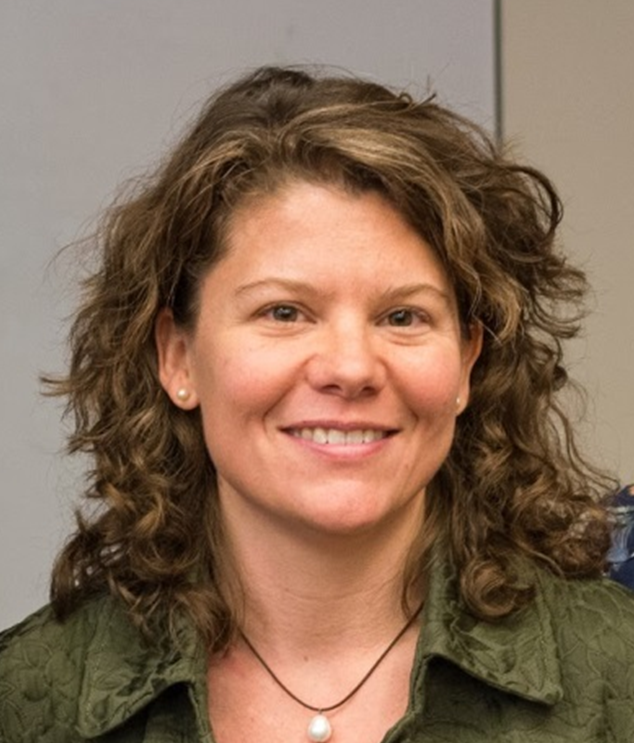 Heidi Rehm, Ph.D., wrapped up the conference with a presentation on collaboration and data standards that are keys to improving the rate of diagnosing rare, genetic diseases. Dr. Rehm has championed many efforts to discover and share disease-related variants in order to move genomics into clinical care. 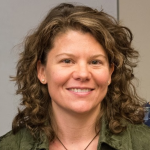 Dr. Rehm is a geneticist and genomic medicine researcher at the Broad Institute Chief Genomics Officer at Massachusetts’s General Hospital and Professor of Pathology and Harvard Medical School. So what are the next steps in genomics? “We need to expand these collaborations to build the critical evidence needed to translate genomics into better prevention, screening and treatment for patients. We’re also working to boost genomic literacy so that physicians and patients understand how genomics, along with other clinical information, can enhance patient care ,” says Timothy Curry, M.D., Ph.D., director, Mayo Clinic Center for Individualized Medicine Education Program. Mark your calendar and plan to join us at Drugs and Genes: Pharmacogenomics for the Modern Health Care Team 2018 in Scottsdale, Arizona from Nov. 30 to Dec. 1, 2018.